Our success is fueled by the generosity of our loyal school community who believe in the transformative impact of a McLean education. Giving back to McLean means investing in its future not only for current students but for generations to come. McLean celebrates 65 years of a tradition of philanthropy. We invite all members of our community to participate and make a contribution of time, talent, and treasure. 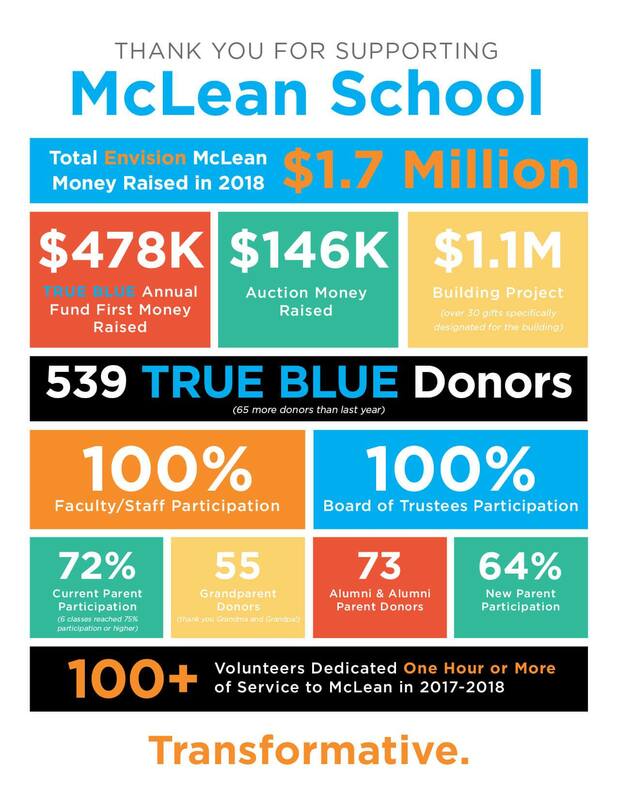 McLean asks every family to support the TRUE BLUE Fund every year and also welcomes volunteerism in support of our main community initiatives including the TRUE BLUE Fund, Auction, Book Fair, and Cecily’s Advocacy Conference. We invite you to be part of our transformative community.